Milk writes, "I will check out Frey. I like the Plectrum in addition to Cuiller, Dantone, Sponseller and Beatrice Martin. E.T.A. : Fray is compelling stuff! thanks!!!" You're most welcome. 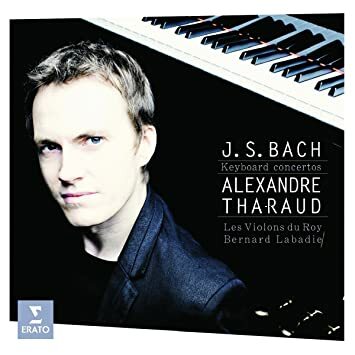 Yes, I can't imagine any Bach lover not enjoying Fray's CD. He's very gifted. If you (or anyone else) is interested in sampling further, the 3 volume set by harpsichordist Lars-Ulrik Mortensen and Concerto Copenhagen (on CPO) is worth considering too. There's also Bob Van Asperen's set with Melante Amsterdam (& Gustav Leonhardt). 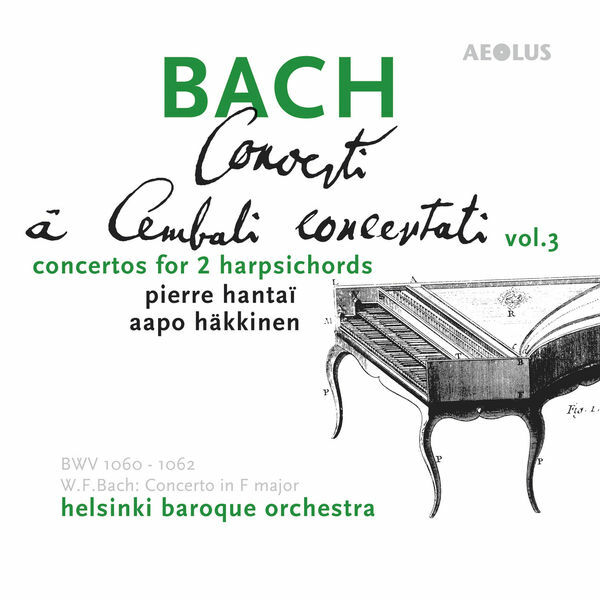 Among recordings that I don't know, I've read positive reviews for harpsichordist Andras Staier's survey with the Freiburger Barockorchester, as well as Aapo Häkkinen's set with the Helsinki Baroque Orchestra, which Mandryka mentions (& which I hope to hear at some point). But it sounds like you're presently more interested in exploring piano recordings of these works.
? It’s interesting. 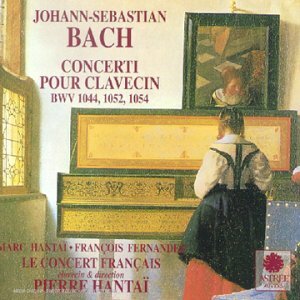 Maybe the only fortepiano recording of a Bach concerto. It works well. Fray is definitely the tops for me now for piano. Tharaud is interesting though because I think he's mixing with a period group here if I'm not mistaken. Milk--No, I've not heard the Akademie für Alte Musik Berlin disc, sorry. I tend to find them hit and miss, very good players, but sometimes their quick tempi are too breathless and quirky, for me. Les Violins du Roy play on modern instruments, but according to current HIP practices (in so far as that can be accomplished on present day instruments). I've not heard their recordings with Tharaud, but can find him on the cool side, unlike Fray. Glad to hear you're enjoying Fray. 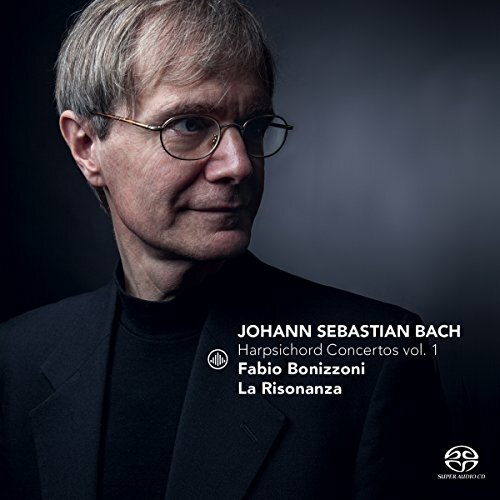 Of interest--Fabio Bonizzoni and La Risonanza have just released Volume 1 of a new Bach Harpsichord Concerto cycle, on hybrid SACD. They wisely (& appropriately) use only one player to a part (for a total of five musicians plus the harpsichordist)--so the project sounds promising. I've liked Bonizzoni's solo Bach playing in the past--of the Goldberg Variations & Art of the Fugue. (He plays Scarlatti well too.) I'll be buying this one. For Akademie für Alte Musik Berlin I can't say I'm a big fan but the novelty of hearing fortepiano on 1044 is something. Bonizzoni looks good although I have so many nice HIP ones already. The sound quality of these recordings from Hakkinen (helped out by Hantai) is wonderful. 16' harpsichord, 1 to a part ensemble. 971 (sounding very good to me!) and 1057, but no 1049! Listening to this today. I also quite like this. Great balance and juicy instrument. I assume this must have been mentioned some time ago but it will be coming out in the next few days. Contents: BWVs 527, 529, 1041, 1042, 1043, 1045, 1052R, 1056R, 1060R, 1067 and sinfonias from BWVs 21, 174 & 182. 1. These are wonderful performances by all concerned, and most beautifully recorded and balanced. The orchestra, with 8 violins is perhaps a tad larger than I am used to in this music, but with a real spring in their step and very well integrated - the soloist(s) just - just - poking out from the front desk to make their points and then stepping back into the mix. Faust's direct style perfectly framed in a sports-GT-like setting. 2. There is a lot more music on offer here than is immediately obvious. You have to check the small print! It's a 2-disc set and amw has of course listed the contents for us above. They include a couple of the Trio Sonatas, in arrangement. 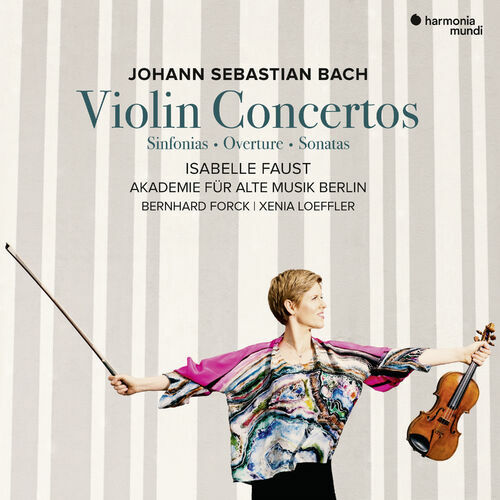 Of Bach's orchestral music, I particularly like the four Orchestral Suites, and No.2 is presented here, transcribed for the violin (rather than flute), in a performance of agility, poise, balance - just everything you could want.